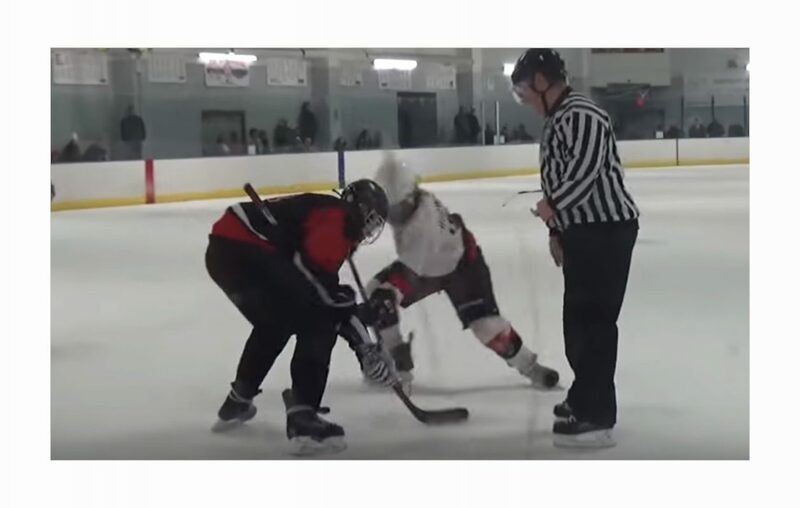 A still image from a YouTube video of an 18-and-under hockey game from Jan. 20 at the Northtown Center between the Cheektowaga Warriors and Amherst Youth Hockey. The coach and two players on a Cheektowaga youth hockey team have been suspended over an incident in which players directed racial taunts at a 17-year-old black player from an Amherst team earlier this year. A video of the Jan. 20 game in the Northtown Center in Amherst shows players on the Cheektowaga Warriors 18-and-under team repeatedly calling the black player “monkey” and making monkey sounds and gestures. Darren Brown-Hall, the father of the targeted player, has raised concerns that actions have not been taken in a timely manner, given that the incident occurred nearly two months ago and was captured on camera. Pilarski, in his statement, said the Town of Cheektowaga Recreation Department and the Western New York Amateur Hockey League are continuing investigations into the incident. According to emails provided by Brown-Hall, the Western New York Amateur Hockey League stopped its investigation when Patrick Gormley, president of Amherst Youth Hockey, brought the situation to the attention of representatives of the New York State Amateur Hockey Association, an affiliate of USA Hockey. In an email last week to Brown-Hall from David M. Braunstein, west section president of the state association, Braunstein said he received the complaint around Feb. 25. "The incident is taken seriously by me and my staff," Braunstein wrote. "I am not finished with my investigation as I need to properly and fairly gather information and I am in the process of doing so." Brown-Hall, who works as chief of staff in the Buffalo Public Schools, has said he would like to see the Cheektowaga team face some sort of sanctions and for it to issue a formal apology. Players on the Amherst and Cheektowaga 18-and-under teams are in the Multiple Organizational House League, which is part of the Western New York Amateur Hockey League. The AHL had cancelled playoff games this past weekend for the MOHL as the investigations continue.